You’ve almost made it! You are in the final stretch of your marathon race to your much-anticipated retirement years. But no matter how much you have saved and planned up until this point, this is not the time to turn on cruise control and count down the days until you pack up your office for good. 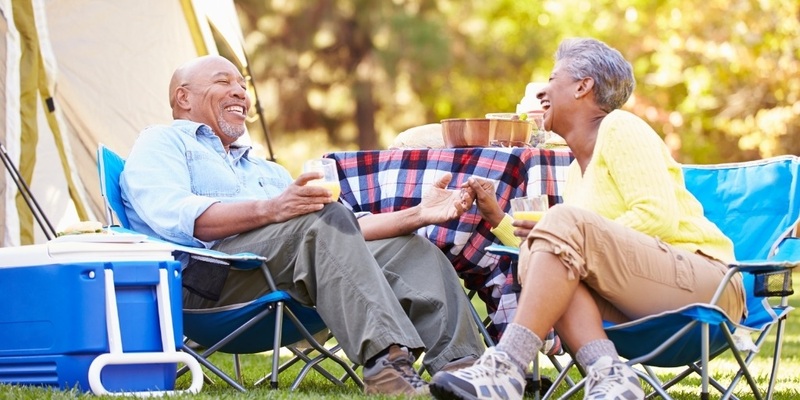 As the popular adage goes, “It’s not how you start that’s important, but how you finish.” Here are ten ways to finish strong before you retire. Whether you choose to continue working during retirement or not, you’ll likely rely on a retirement income generated from several different sources, including Social Security, employer-sponsored retirement plans, personal retirement plans, and other savings and investment programs. Over the course of your working years, you’ve likely been contributing money to these accounts, so you’ll have a consistent income in retirement. But, how do you know if it’s enough money? One way is to test it out. While it’s generally recommended to assume you’ll need 80% of your current income in retirement, you and your family may need more or less. For a few months, test drive a reduced budget. To start, try living on 80% of what you currently receive. Do you find yourself pinching pennies or did you find ways to cut back? According to studies by the Employee Benefit Research Institute, housing expenses account for an overwhelming 43% of spending for those ages 75 and older — even more than healthcare.1 As you approach retirement, think through where you’re going to live and how much you’ll spend on housing costs in retirement. The ten-year pre-retirement mark is a particularly appropriate time to adjust your portfolio’s allocations. Meet with your financial advisor to review your current lineup and determine whether your risk tolerance should change. No matter how healthy you are today, you may need more health services as you age. According to the Employee Benefits Research Institute, the average couple at age 65 will require anywhere from $157,000 to $392,000 in health care costs.2 Most people don’t even have that much in their retirement accounts to live on, let alone cover medical costs. Even with Medicare, there could be significant out-of-pocket expenses and many conditions and treatments that are not covered. Along the lines of health, think about your potential need for long-term care insurance. An average 63% of today’s 65-year-olds will require some form of long-term care during their lifetimes. On average nationally, it costs $253 per day or $7,698 per month for a private room in a nursing home. But the older you get, the higher your cost for a long-term care insurance policy will be and the greater the likelihood of your application being denied. Generally, the last age long-term care insurance is affordable is when you are in your mid-60s. Even if you have been saving and planning on your own up until this point, these final years before retirement are critical for making decisions that have far-reaching consequences. If you want to spend your final working years enjoying life rather than worrying, let us help you create a personalized retirement roadmap that will address your concerns and unique life circumstances. Take the first step by reaching out to me for a complimentary consultation. Call my office at (949) 221-8105 x 2128, or email me at [email protected].